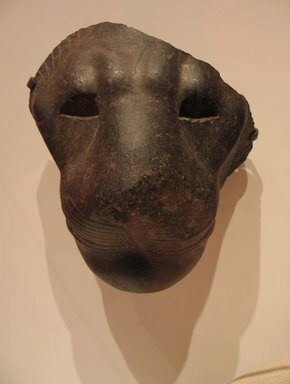 Black syenite face from a large statue of Sakhmet. Incised details. Eyes, now missing, were inlaid separately. Condition: Nose badly battered. Eyes missing, good workmanship.